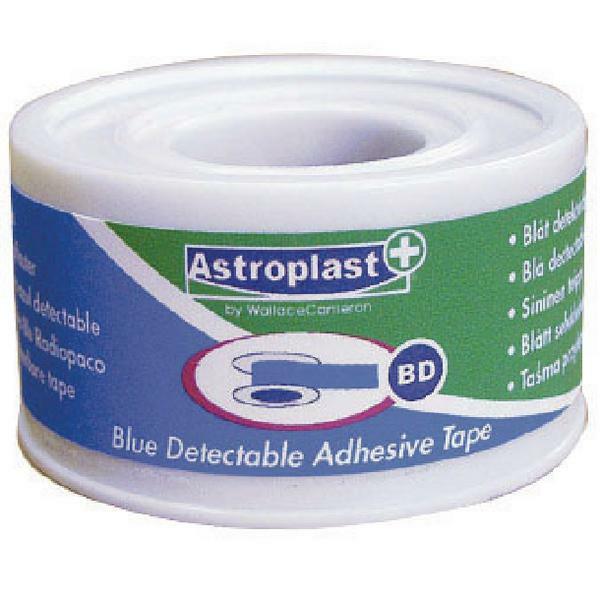 Designed for use in food hygiene areas, this Wallace Cameron blue detectable tape secures bandages and dressings firmly in place. 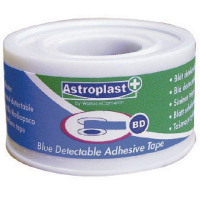 The blue tape is metal detectable, making it ideally suited for use in food preparation industries to keep cuts, scrapes and grazes covered and protected at all times. The flexible tape moves with your skin to deliver complete flexibility and comfort, while the strong adhesive lasts a long time ensuring your bandages won't come off.